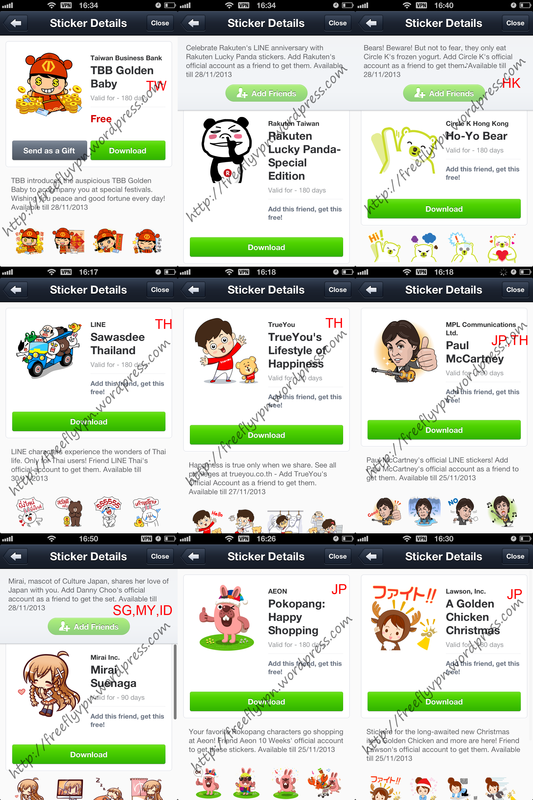 9 new free Line stickers is available to download in Taiwan, Hong Kong, Thailand, Singapore, Malaysia, India and Japan. Download those free Line stickers with free trial VPN. 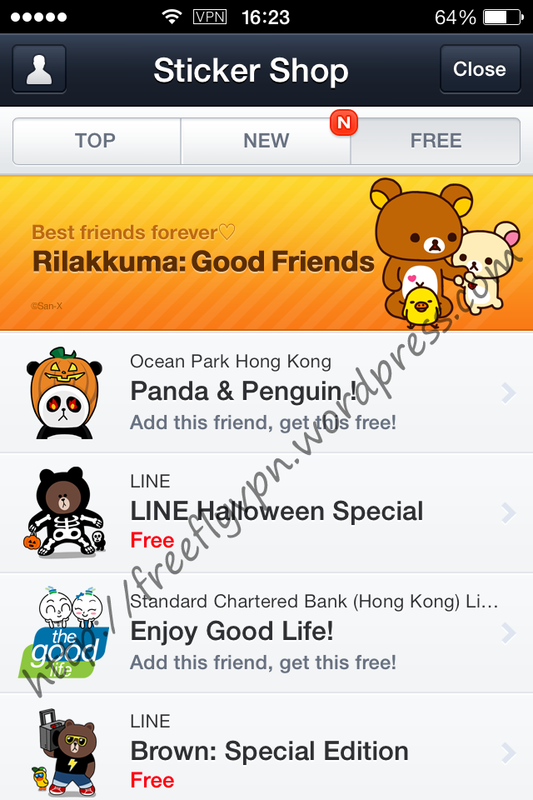 Let us know more details about Line stickers launched on 29th, Oct, 2013. Because every user can only use free trial VPN account 3 times in 24 hours, trial accounts are often full for new free Line stickers. 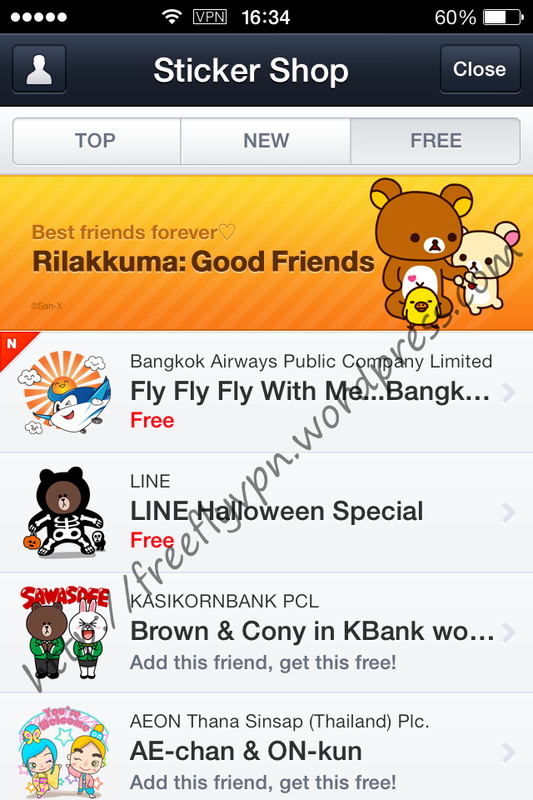 If you don’t want to try it again and again, access stickers shop quickly with FlyVPN premium account. Buy VPN now. Do you want to get 7 days trial VPN activation code? If you are annoying that It’s so difficulty to access FlyVPN free trial VPN account for many guys are using free VPN services. There is a way to win days trial VPN on http://www.facebook.com/FlyVPN. If you want to get trial VPN services, maybe you can consider to participate it. 1: 7 days trial VPN activation code for shared IP plan. 2: Countries VPN Server: 30 countries. Including Mainland China, HK, TW,Singapore, Philippines, Malaysia, India, Indonesia, Thailand, Vietnam, Korea, Japan, USA, Mexico, Canada, Italy, Brazil, Argentina, Spain, Germany, France, UK, Turkey, Australia, New Zealand, Russia, Peru, Portugal, and Egypt. 3: We will announce winners list on 4th, November. Winners can contact with online live chat customer services or send email to support@flyvpn.com to require 7 days trial VPN activation code. 4: Valid for: 30 days. 1: Like FlyVPN Facebook fan page. 2: Write a comment to share your ides about Halloween under Halloween Facebook contest picture. 3: Share the Halloween Facebook contest picture to yourselves timeline. 4: We will select top 100 entries from the comment list under the Halloween contest posting in Facebook as winners. Entries with more thumbs up and replies will get good rank. The paragraphs above about Halloween event have been listed, I pasted it from FlyVPN Facebook FAN page. Tips: How can make your reviews have a good rank to win free VPN. 1: Write more details about the event. 2: Win more thumbs up. 3: Many people replied your reviews. Because FlyVPN will select top 100 entries from the comment list. If your reviews could get a high rank in the comment list, you will have bigger opportunity to win trial VPN services. More details about FlyVPN at http://www.flyvpn.com . Sticker: Roll your eyes, Undine!. Free Trial Japan VPN Password: http://www.flyvpn.com/freetrial. Free Trial Thailand VPN Account: VPNU. Free Trial VPN Password: http://www.flyvpn.com/freetrial. Download free stickers in Thaliand with Thailand VPN is the best and fastest way. Free Trial Argentina IP: 200.123.145.109. Free Trial Argentina VPN Account: VPNU. Free Trial VPN Password: http://www.flyvpn.com/freetrial . Best Argentina VPN for free Argentina Moon Special Line stickers In Argentina, Download it with seconds. Free Trial Malaysia IP: 111.90.151.204. If you can’t connect successfully for the trial accounts are full, you can try it later or purchase premium account at http://www.flyvpn.com/buyvpn . Download roggy Moodz Line Sticker with paid VPN is very fast without disconnected. Step 1: “Setting” – “General” – “VPN” – “Add VPN Configuration…”. Step 3: Input whatever you like into “Description”. Step 4: Input VPN server address. Register an account then visit http://www.flyvpn.com/User/VpnServers to check countries VPN server address in “VPNU” and “VPNC” trial account. IRIS & ILARN – line://shop/detail/1249. Download it with Thailand VPN on iPhone. Rakyim : Special Edition – line://shop/detail/1250. Download Rakyim : Special Edition stickers with Thailand VPN. It is very simple to get Thailand IP with FlyVPN free trial VPN account. The Coca-Cola Classics – line://shop/detail/1251. Download free Line stickers in Spain with Spain VPN. It is very easy to download it. Download Puccho Kun Days stickers with Japan IP. Download Shea Butter-Chan Line stickers outside of Japan with Japan VPN. Free Trial Japan IP: 153.122.7.201. Latest free trial VPN account password: http://www.flyvpn.com/freetrial . 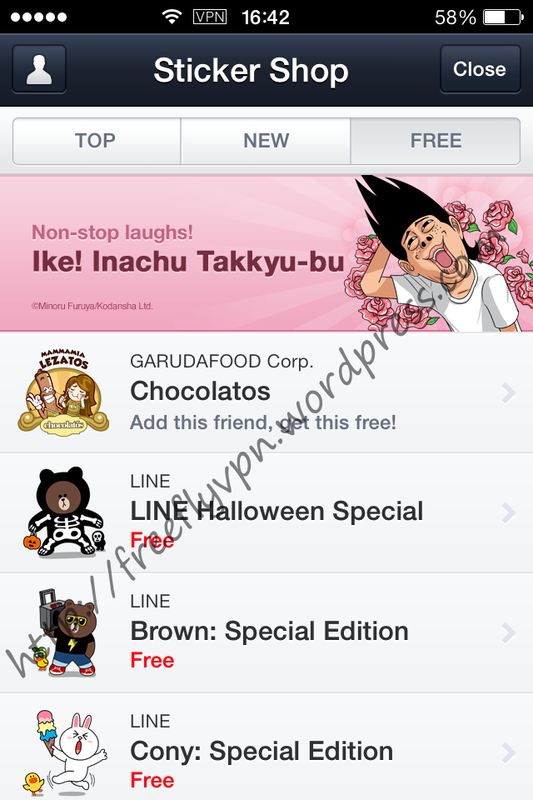 Download Surface free Line stickers with Japan VPN on iOS 7. Wow, there are so many free Line stickers in IN, ID, JP, HK, TW, TR and BR. I went outside for travelling, so I haven’t update my blog recently. I will introduce free Line stickers I missed in those countries. 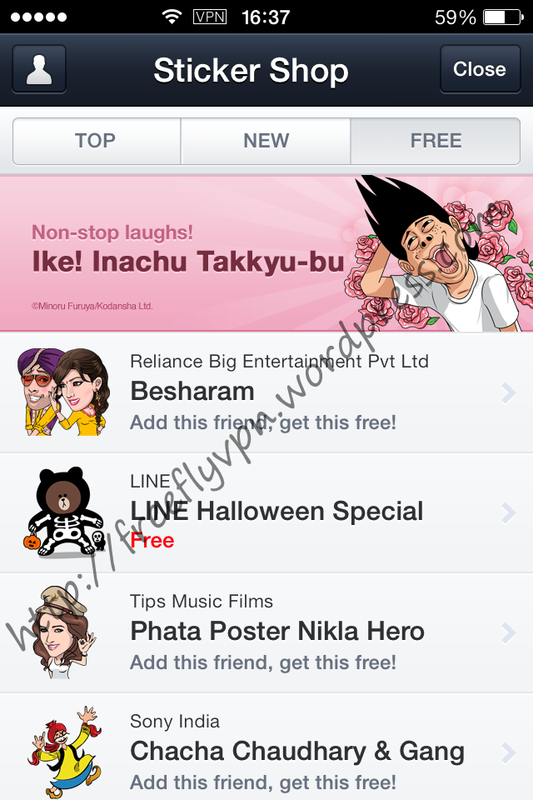 I often use FlyVPN to download free Line stickers on iPhone(iOS 7 operating system). It is providing India, Indonesia, Japan, Hong Kong, Taiwan, Turkey, Brazil VPN servers. If you don’t want to pay for it, you can test it with free trial VPN account at http:www.flyvpn.com/freetrial. 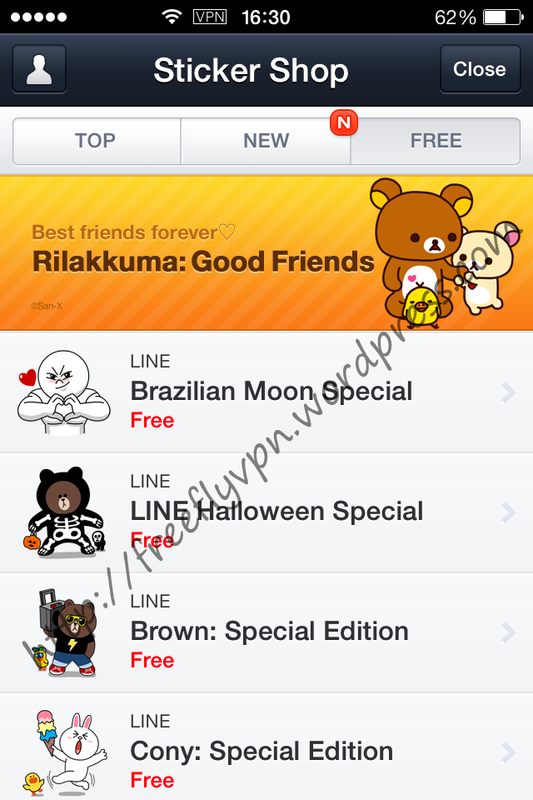 LINE Halloween Special – line://shop/detail/1222. 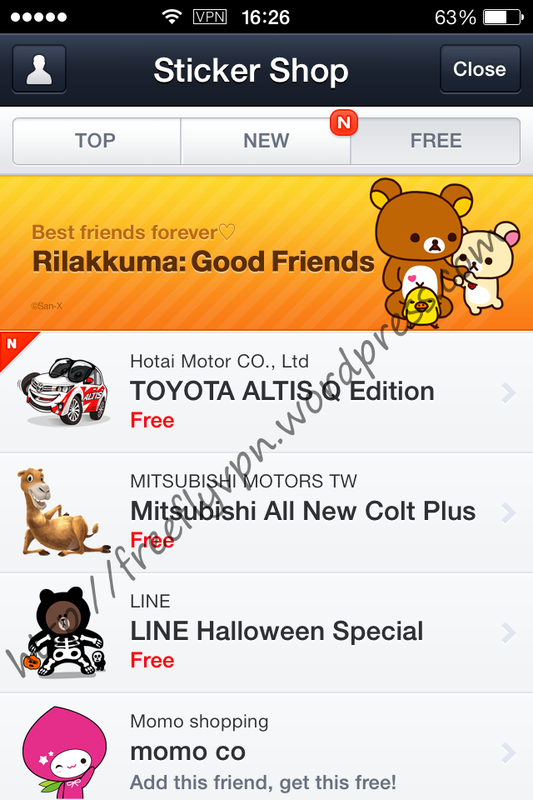 Mitsubishi All New Colt Plus – line://shop/detail/1224. TOYOTA ALTIS Q Edition – line://shop/detail/1227. Panda & Penguin ! – line://shop/detail/1221. Brazilian Moon Special – line://shop/detail/1225. 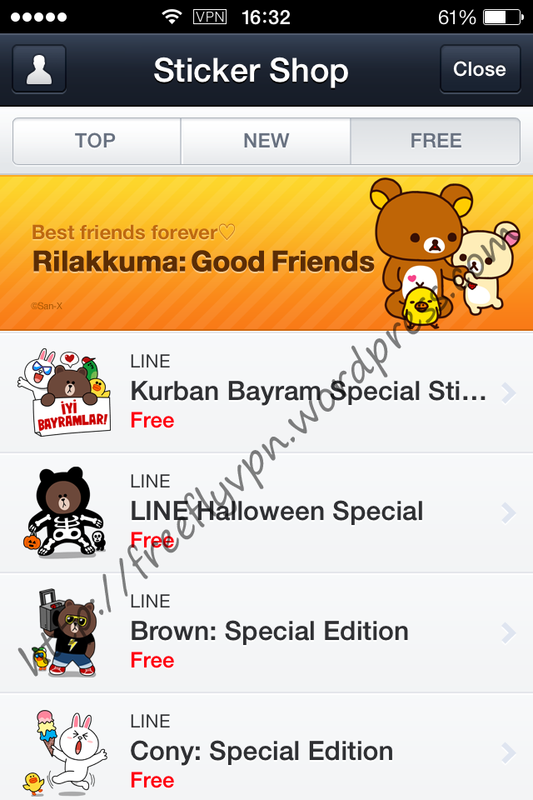 Kurban Bayram Special Stickers – line://shop/detail/1225. Fly Fly Fly With Me…Bangkok Airways – line://shop/detail/1240.